This is one of my favorite dresses, which comes from a traditional Moroccan design. Light in Arabic is 'Aisha', and this design gives me inspiration and light. We have combined the unique Moroccan embroidery technique into our own 'bohemian romantic' designs. It's stunning on its own, with boots, sandals, or high heels. 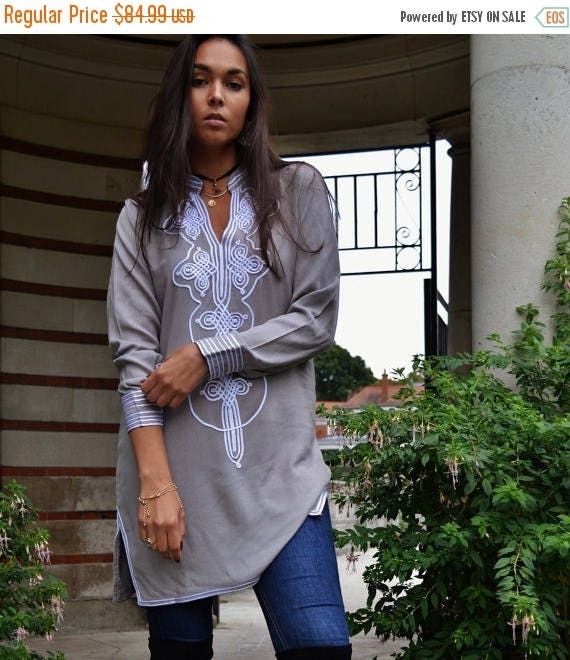 You can wear this tunic with leggings, jeans too. Totally I love this tunic, but I faced with a problem after washing apeared smudges from water. I couldn't clear off them. Only dry cleaning helps me a little. It is a pity :((. Next time I will use only dry cleaning !